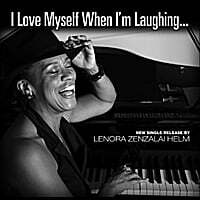 "I Love Myself When I Am Laughing" Reviewed by RadioIndy.com! Want an uplifting song that is powerful, spiritual and has an unforgettable lyric? "I Love Myself When I'm Laughing" grabs hold and never lets go! Recorded after a SRO crowd raced to purchase THIS song after the concert! photo: Preston Thomas, Chicago.